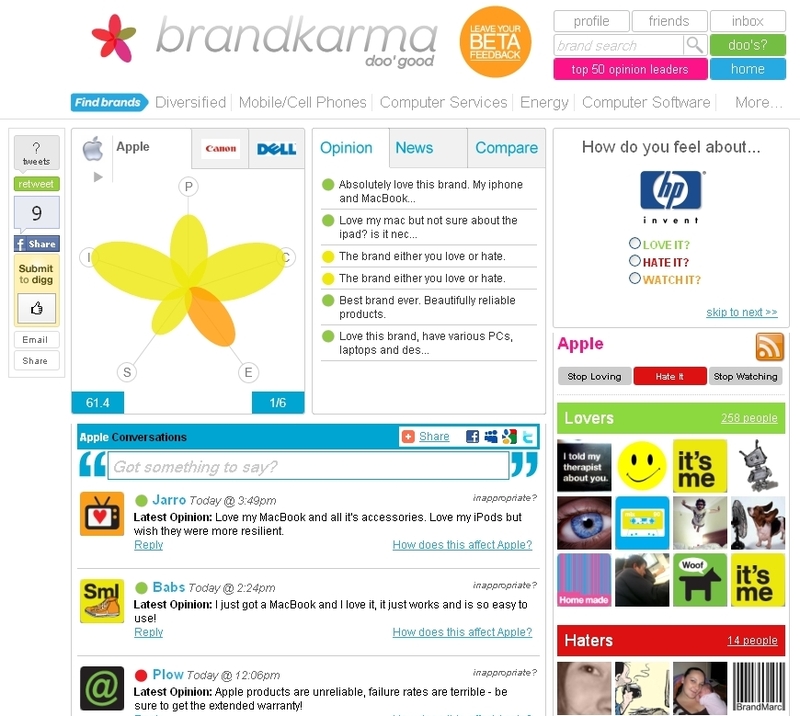 Craig Davis has launched Brand Karma, a site dedicated to analysing the world’s brands on the basis of their goodness. At the heart of the platform is the Brandkarma flower which has five petals focusing on how the brand treats its customers, employees, investors, suppliers and the planet. Users enter comments about one of the five areas and grade the brand with a colour from bad (red) to good (green). The colours are then reflected in the relevant flower petal, depending on the number of responses. Brands featured on the site, which include Google, Apple, Tesco, Toyota, Nokia, McDonald’s and Nestle among others, can also be compared on the fve criteria and overall ranking score. 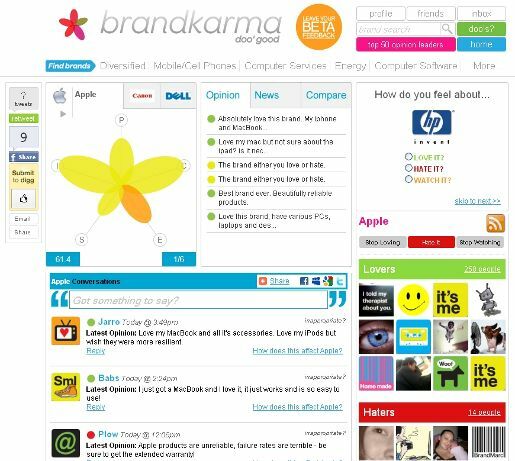 Registered users at www.brandkarma.com are able to build up their own karma by how much contribute (“doo”) to the site, with the capacity to reach “Super Doo’d” status.